Go the plugin settings page, which is located under Settings -> Livedrive Settings. Provide the api key, Reseller Email paypal account details and select the subscribe page from a dropdown list. Then you are set to launch. 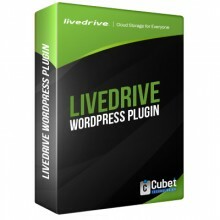 From livedrive settings menu, take coupon and add new coupon code by filling all the fields. Select category menu and add new category and then add the newly created coupon into that category. Select packages and add new backup package , add the new category into the package. Collect the short code from package lists. Create new page in wordpress and add the short code to the content portion of the page. View the new page on a new web browser and proceed with the purchasing. You will get mail to the registered mail account with the account details. Find the Import Button and click on it. Import functionality will take time according to the number of users to get imported. Navigate to View customers menu. You can view the list of users who were imported to the system. Click on view link, Assign an appropriate package which is already created to the user. also add Subscription Type, sales id and subscription end date. Note: You need to pay an additional $49 to install. If you have any queries, feel free to mail your questions at our support at info@cubettech.com. We will get back to you immediately. Click the button below to add the Livedrive Plugin for Wordpress to your wish list.